During the reign of Louis XIV (1638-1715) sacred music took three essential forms: the largescale grand motet (specific to the French court), the smaller-scale petit motet, and organ pieces alternating with plainchant. All three forms were brought together at Versailles in the daily celebration of the king’s mass. They were also the components of the important religious ceremonies that were held at the principal churches of Paris, such as Notre Dame and the Sainte-Chapelle, which maintained a body of first-rate musicians. Sacred music at Versailles included the ordinary daily office, but also the performance on special occasions of pieces such as the Te Deum. 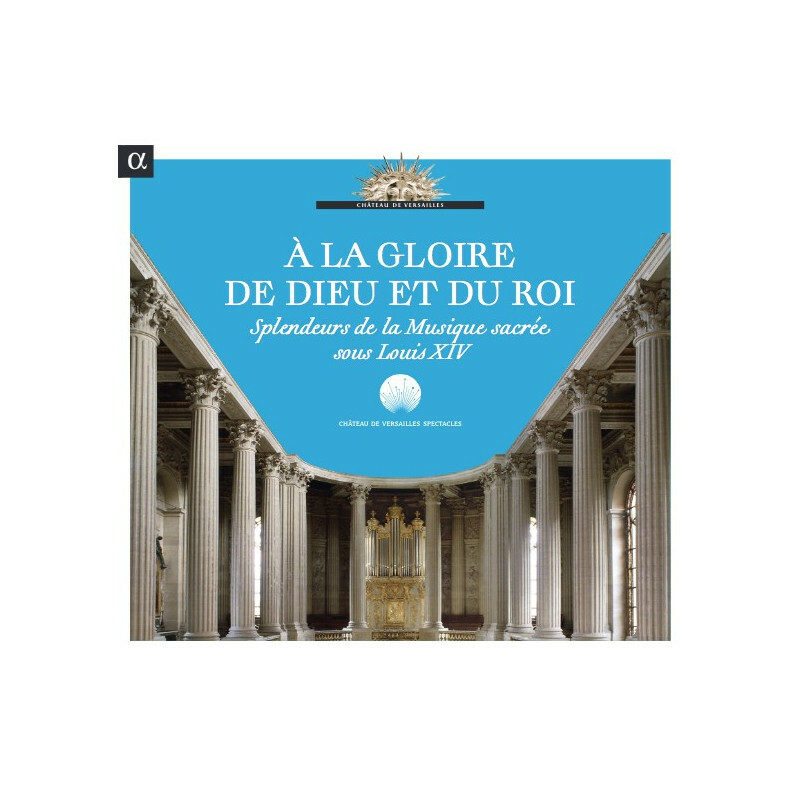 The famous ‘pomp’ of Versailles, as illustrated by the glorious Te Deum setting by Marc-Antoine Charpentier heard on this recording, involving soloists, a large chorus and an orchestra with trumpets and timpani, co-existed with exceptionally intimate works, such as Lalande’s Miserere or the petits motets composed by Du Mont, which illustrate the most personal aspect of French sacred music of the Baroque era. Finally, organ music played a part in religious ceremonies throughout the kingdom, in the cathedrals of the provinces and in the Royal Chapel. At Versailles four organists shared the task of playing the instrument commissioned by Louis XIV, with each one taking a quarter of the year. Francois Couperin and Louis Marchand were among the most famous of the royal organists.